Ithuba's new Daily Lotto has recorded 20 jackpot winners in less than a month, the operator said on Friday. Earlier this month, the operator announced that the Daily Lotto offered players daily jackpots with guaranteed winners. The first draw took place on March 10 and two days later, a 59-year-old Cape Town man bagged R216 000. The game comprises 36 numbers and players are required to select and match five numbers to win the jackpot. The Cape Town man who bagged the first jackpot told Ithuba he would use some of his winnings to renovate his home. "I have been wanting to revamp my home for a long time but I have been battling. I was starting to worry that I would never be able to do this because I am fast approaching retirement," he said. He said when he heard about the Daily Lotto, which guarantees that players could win minimum jackpots of R100 000, he immediately started playing. Corporate relations manager at Ithuba, Khensani Mabuza, said when they launched the game, they did not expect the response it received. This week, the game reached its biggest jackpot win – a cool R417 930.40 which was divided among two players on Wednesday. 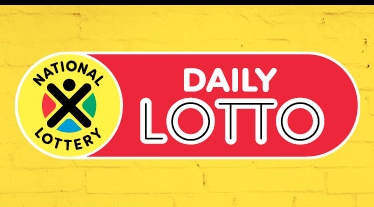 Next DAILY LOTTO jackpot is estimated at R400,000! Mabuza explained that the Daily Lotto did not roll over but rather rolled down to the next applicable divisions, meaning, when there is no jackpot winner, the prize is shared among winners in the next divisions. The share prize will be paid out up to Division 4, meaning even if players match a minimum of two numbers, they are still eligible to receive the applicable payout amount allocated to the specific division. Numbers for the game can be selected using a manual or quick pick selection method at a cost of R3 per board. Get the Daily Lotto results on News24! Download the News24 app via the Play or iTunes App stores and get a free alert moments after each Lotto draw with the winning numbers.